Home>Music> Takeoff Praises His Uncle Quavo: "I LOVE YOU 4L & AFTER"
Takeoff has developed a reputation as a man of few words, though his musicianship has always spoken volumes on his behalf. Often seen as an integral member of the Migos collective - the glue, as it were - Takeoff has largely kept out of the public eye when compared to his bandmates. Yet that's not to say he's lacking substance; he simply chooses his words carefully. Case in point, Takeoff recently took to Instagram to pen a heartfelt birthday message to his uncle Quavo, who turned 28 yesterday. "My uncle my brother my mentor & a 🐐 in my 📚," writes Takeoff, alongside a vintage throwback picture of their formative years. "We been thru ALOT but had mo success and wins than loses I LOVE YOU 4L & AFTER Happy Cho Day." It's not the first time the Migos collective have looked to the past, having previously shared this endearing and hilarious throwback picture. Clearly, Takeoff has the family photo albums in his possession, and has no qualms with allowing fans a glimpse at his childhood life. 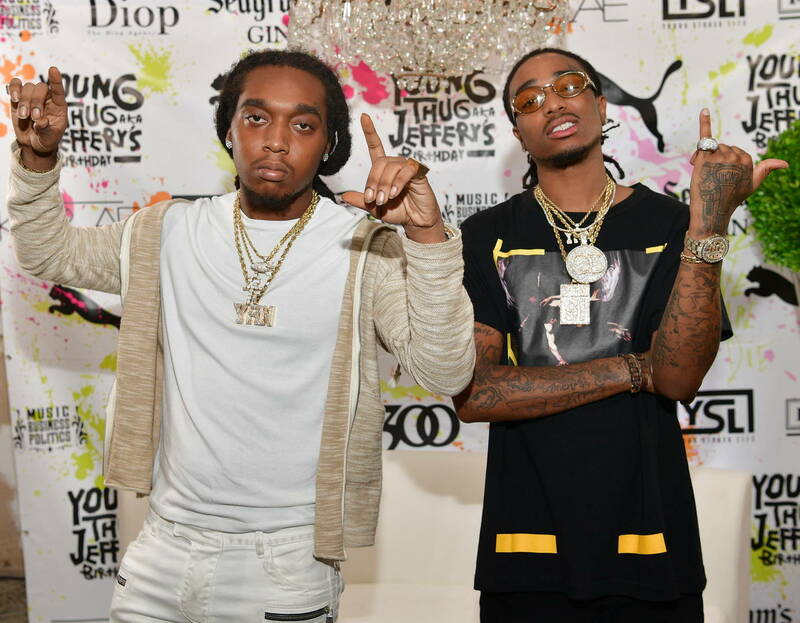 Respect to Takeoff for holding it down, and happy belated birthday to Quavo Huncho! MUSIC Takeoff Praises His Uncle Quavo: "I LOVE YOU 4L & AFTER"